Singer-songwriter, guitarist and producer; Richard Hawley has many talents. But perhaps his most notable aspect is his rich baritone voice which serves him so well that it is said to be iconic. So it comes as little surprise Hawley has been nominated for a Brit Award as Best British Male Performer and the Mercury Music Award twice. Growing up in the working class regions of Sheffield, Hawley was exposed to music performance at a young age with his mother a singer and his dad a guitarist in a number of local bands. Whilst growing up, Hawley worked in the local HMV and formed his band Treebound Story which were recorded on a Peel Session whilst he was only 19. His music career took off when he became the guitarist of indie band Longpigs. The band became a bit of a name in the late nineties with their two albums The Sun Is Often Out and Mobile Home both breaking the Top 40. Playing in Longpigs allowed him to hone his craft as a songwriter and following their split in 2000 he began to work as a solo artist. Hawley’s debut solo album Late Night Final was released in 2001. Taking its name from the cry of Sheffield Star newspaper vendors, the album revealed Hawley’s charm and creative knack for writing intimate songs. His skill was noted by critics, with second album Lowedges declared by NME as the “first great album of 2003”. Now with a real foothold as an independent musician, his talent began to progress into commercial success with 2005 album Coles Corner Mute hitting #37 in the UK Album Charts. His success continued with further releases as 2007’s Lady’s Bridge rose to #6, Truelove’s Gutter (2009) peaked at #17 and Standing At The Sky’s Edge (2012) marked a career high of #3 in the charts. His latest released is the record Hollow Meadows and sees Hawley return to his classic sophisticated style of song writing with subtle arrangements that endear him to so many. The reflective record investigates relationships, aging and the very human experience of fallibility. Although it is brooding, the album marvels with a sense of romance rather than foreboding. It also includes a host of folk and pop luminaries including Martin Simpson, Nancy Kerr, Hick Street Chip Shop Singers, Rebecca Taylor (Slow Club) and Jarvis Cocker. Released in 2015, with beautiful harmonies and melodies, the album rose to #9. 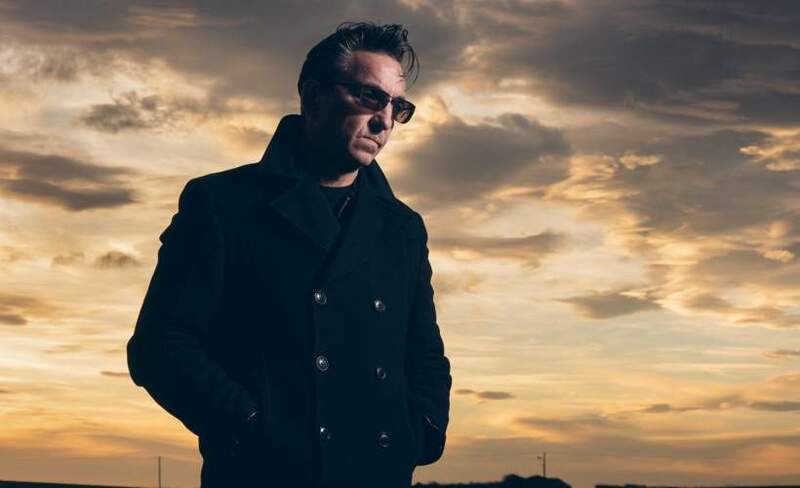 Richard Hawley tickets can now be yours - so book through Gigantic today! The South Yorkshire singer will be performing at De La War Pavilion at Bexhill On Sea at his hometown at Sheffield City Hall in December. Gig tickets are expected to sell quickly so book early to avoid any disappointment.